An ancient people, organized on military principles and yet almost perversely peaceful, the Gzilt helped set up the Culture 10,000 years earlier and were very nearly one of its founding societies, deciding not to join only at the last moment. Now they've made the collective decision to follow the well-trodden path of millions of other civilizations; they are going to Sublime, elevating themselves to a new and almost infinitely more rich and complex existence. Amid preparations, though, the Regimental High Command is destroyed. Lieutenant Commander (reserve) Vyr Cossont appears to have been involved, and she is now wanted - dead, not alive. 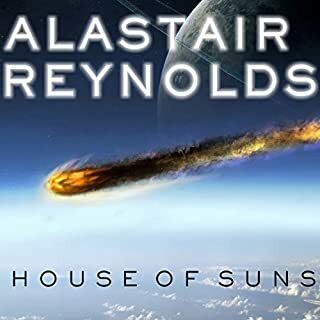 Aided only by an ancient, reconditioned android and a suspicious Culture avatar, Cossont must complete her last mission given to her by the High Command. She must find the oldest person in the Culture, a man over nine thousand years old, who might have some idea what really happened all that time ago. I am always thrilled to see the next Culture book drive, and this one did not disappoint. While somewhat slighter in scope than his previous instalment, "Surface Detail," "The Hydrogen Sonata" hearkens back to "Players of Games" in its relatively straight-forward narrative. There were several side story lines, but one character's story takes centre stage. 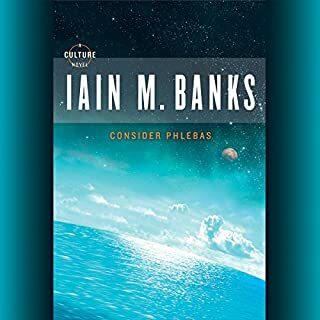 Banks has often written his newer culture books to echo events or characters from previous books in the series: "Look to Windward" is the follow up to "Consider Phlebas,"Surface Detail" completed a character arc that started in "Use of Weapons." "The Hydrogen Sonata" does not seem to be particularly closely linked to any of the other books. Perhaps, there are similarities with "Excession" as Minds play a somewhat larger role than usual, but that's a tenuous link at best. This book has everything you'd expect from Banks: crazy tech battles, smarmy Minds, political intrigue, wacky aliens, up/down-loaded consciousnesses, utopic societies, hilarious ship names (my favourite being: The Washing Instructions Chip in Life's Rich Tapestry) and amazing landscapes (cities that wrap around whole planets, sand "water"-falls). If you've read the Culture series so far, be prepared to enjoy another excellent novel in this addition to the series. 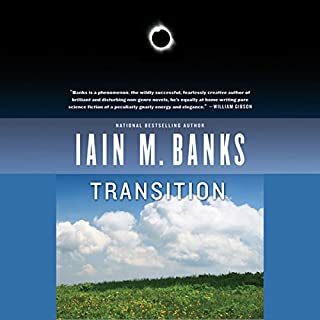 If you're new to Iain Banks, you might want to go back to the beginning and read them in order, though this is not necessary. 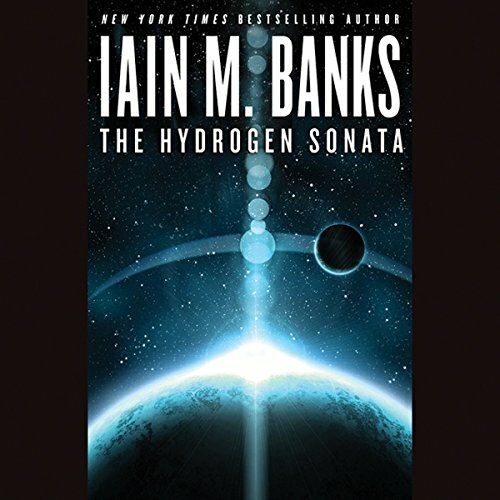 Seeing that only four of the Culture novels are available on Audible (at least where I live), "The Hydrogen Sonata" is probably the best one to start with; "Matter" is not the strongest book in the series, and "Use of Weapons" and "Surface Detail" are best read as a pair. Unfortunately for first time readers, "Use of Weapons" is the most dense, difficult but ultimately rewarding of the series. It can be a little off-putting in that the new reader has to get their head around the fragmented narrative and the Culture universe. The narration was very excellent as always. Bravo Mr Kenny! This books gets a strong recommendation. Give it a try! What made the experience of listening to The Hydrogen Sonata the most enjoyable? As always, Peter Kenney captures the sarcastic wit and quirky personalities of the Culture's AI "minds," giving each a distinct voice and delivery. In many of Bank's Culture novels, the ships themselves are the most interesting characters, and that's certainly the case here. What was one of the most memorable moments of The Hydrogen Sonata? In several scenes, we see a half dozen of the ship minds arguing, talking, whining, wheedling, and generally taking pot shots at each other as they all work toward a common goal from different perspectives. It presents a wonderful feeling of watching a room full of highly precocious, often very funny, brats. With the number of characters involved, and the rapid fire conversations, it would be easy to become lost, but Kenny does a fine job of making each character distinct. There are some characters among the ship minds that rise to the level of parody when it comes to accents or pacing, but that seems entirely fitting with the literally larger-than-life personalities. Absolutely. And thanks to a long drive, I came very close. If you've enjoyed Bank's previous Culture novels, you'll find more to love here. However, there's a bit of a melancholy note on top of the quirks and general humor. For all the Culture’s busy-body interest in their neighbors, there seems to be a bit of a… winding down. A sense that even the Culture may sense that the Culture really doesn’t have all that much to contribute to the broader civilization at this point. That maybe it’s still glittering, but a little pointless. I wouldn’t be surprised to see the Culture either splintering or looking to “sublime” in the next few stories. It was an interesting story about the whole subliming business that civilizations keep doing in Sci-Fi novels. There was a lot of intrigue about the secret past of this civilization and trying to determine if it's true, and what it could mean if this was made public. And of course, Culture minds sticking their metaphoric noses in everyone else's business. Giving this 4 stars seems like I'm saying, "80 out of 100", and that's not the case. probably 90 out of 100. Not Banks' best novel, but easily an above average novel, and I doubt you'll be left feeling cheated, or it's time wasted. A good read. I have been listening to a run of "Culture" books by Iain M. Banks lately. 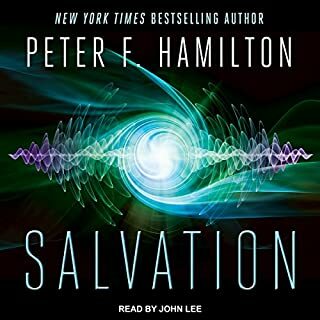 I read Hydrogen Sonata several years ago but found this audiobook even more enjoyable. The characters and plot are quite interesting, Mr. Bank's writing is at its usual high level. Peter Kenny did a superb job on the narration. The remarkable thing I noticed is how poignant some passages in this book now seem since Mr. Banks has passed away. These sections concern the meaning of life and the nature of civilization and progress. It felt to me that the author was speaking on two levels, both directly in the telling of this story and indirectly to the reader. It is a real loss that Iain M. Banks has left this world. I wish he could have had time to write more Culture novels but I am very grateful for what he did give us. Read this in paperback, listened to audiobook I the car. Really fantastic writing, as good as Iain M. Banks gets. Zakalwe would not be impressed. As an opportunity to seriously grapple with the implications and practicalities of the road to Sublimation, the book feels more like a movie script. Banks remains my favorite author, but there are better books preceding this offering. Peter Kenny may be the best I've ever heard, reading a book out loud, but don't tell my father that. The Culture books are always complex and you have to pay attention to them. But the engaging story is just irresistible and the author introduces so much detail the listener can't help but feel part of the events. For those that have NOT taken the time to research this author or his works, here is my take on this series. First: Sadly, Mr Banks is no longer with us. He passed away many years ago. There will never be anymore books by him. What little we have if the Culture universe is all that there will be. Second: All of his Culture books are in audio format and narrated by Peter Kenny. It's already done, no need to wait for them to be narrated. Third: From what I can gather in my research, the reason these wonderful works are not on Audible is due to the estate not allowing them to leave the Europe market. You can purchase all of Banks titles, you just have to live in Europe. There must be a solution here somewhere, someway, somehow. So come on fans of these wonderful books, let's collectively cause enough of a ruckus to be noticed. I want to own a copy of these works honestly. I don't want to break any laws to be able to have this collection complete. So who's with me? I am a big Iain M. Banks fan, and any new Culture novel is a cause for celebration. If you aren't familiar with the Culture -- set in a far future post-scarcity society where AIs, humans, aliens, and impossible engineering co-mingle in interesting ways -- this may not be the ideal book to start with (Player of Games or Consider Phlebas might be better), but all of the books are pretty independent. As a fan of the series, I wouldn't consider this to be the best offering, though it is far from bad. There is the usual mix of action, wry humor, philosophizing, and amazing flights of imagination that mark Culture novels. But the story itself, while full of great ideas and interesting sections, doesn't really connect the way the most compelling novels do. Perhaps that is because the novel is a bit of a ramble through a civilization that is about to evolve to a higher, immaterial, state. There is an overarching plot about a millennia-old religious secret, but the book is really about the picturesque locations visited in attempt to solve the ancient Da Vinci Code-style mystery. The perpetual parties, people with faces made of bowls of soup, sculpted moons, eccentric robots, and other clever details encountered seem like a slightly harder-edged version of Douglas Adams. Because the novel veers between humor and seriousness rather suddenly, or perhaps because so many of the main characters are Minds, the super-intelligent ship-board AIs, the book is really interesting but rarely feels emotionally compelling. 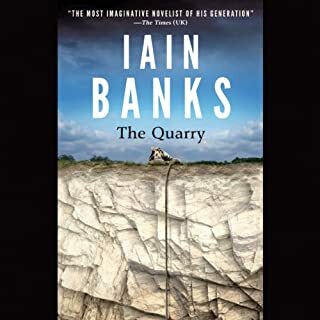 Since Banks is more than capable of writing at the highest level, this is a little disappointing, but the book is still very much worth listening to, and is generally both thrilling and fun, with a little serious navel-gazing thrown in for interest. The reading is terrific, but, listener be warned, there are a few very explicit moments voice-acted in great detail. Make sure to have headphones on for, say, the visit to the party ship, or the start of the second half of the book. 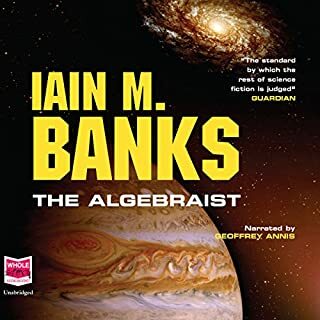 Overall, I don't think any fan of imaginative science fiction, and especially any fan of Banks, will be disappointing they took the time to listen to the novel.